DAVID FABER: Welcome back to "Squawk on The Street." I’m David Faber at the annual Active-Passive Summit by 13D Monitor. And, as has become an annual rite of passage, I’m joined by Jeff Smith. Not unfamiliar though to our viewers recently, because as of course, you’ve been on a couple of times about Papa John’s. Today, no pizza, or maybe a little bit. But let’s talk about a new idea that you just introduced or a position for the firm. KAR is the symbol, KAR Auctions, not to be confused with Cars.com – although you do have other exposure as well to the automotive industry. Why this position and why now? JEFF SMITH: Yeah, we think KAR is really interesting. They are one of the leaders in automobile auctions, actually in two different pieces. They have the ADESA business, which is for used car auctions, which are cars you’ll continue to drive. And then they have the IAA salvage auction business, which are cars that are being sold just for scrap and parts. What’s interesting and ‘eventy’ about this right now is the IAA salvage business is going to get spun off. And they actually announced that they received their private letter ruling I think it was last week or the week before. So that is going to move forward. I think it’s misunderstood by the market. If you compare the IAA salvage business to its closest competitor, a company you’ve talked about before which is Copart, there is a big valuation gap. DAVID FABER: So, you’re here supportive of management’s current plan. JEFF SMITH: We are. So we have had an investment in the company. We’ve had conversations with the company. We believe what they’re doing can make sense. We believe there’s an operational improvement opportunity on both the IAA salvage business because their margins are 30% versus Copart which is 38%. We believe they can get to 35%. So there’s about a 500 basis point improvement opportunity. And we believe there’s an operational improvement opportunity at ADESA. Creating these as stand-alone businesses is good: good for their operations and good for value creation. JEFF SMITH: So far, we’ve been very comfortable with our conversations with management. We believe they’re moving forward with this. We believe it’s been misunderstood in the last earnings call. I think people were concerned the IAA business was not getting spun off or not spun off in the near term. We believe it is. We believe it will be a near term event and that will unlock significant value. DAVID FABER: Yeah, and it’s funny, I mentioned Cars.com, because you also have had a position there. There was at least the idea of a potential sale there. That has seemingly been abandoned. Are you supportive of that? JEFF SMITH: Our belief is that there’s a process that’s on going and we haven’t heard that there’s a resolution there. We are supportive of them exploring the alternatives and trying to see if they can sell the business at an attractive price. DAVID FABER: I’m not going to do any reporting here on air then about that process, but would you be disappointed if, in fact, it did not meet their desired goals in terms of a potential deal? JEFF SMITH: Of course. Any shareholder would be disappointed if they didn’t get the value they deserved. We believe they should go forward and run a good process and see if they can get a right price and a transaction. But there’s also operational opportunities at the company. So, we’ll see. One way or the another, we believe value can be created. DAVID FABER: Do you ever find yourself, Jeff, just spread too thin? You know, I wonder, because I mean the fact is, the headlines that come from Starboard seem to be coming all the time, whether it’s Dollar Tree – where there’s nothing going on, Cerner – which I want to ask you about in a minute, Bristol-Myers, I mean I could go on and on, not to mention of course pizza and Papa John’s. Why are you guys so active in activism? JEFF SMITH: Yeah, it’s a great question, David. No, I don’t find myself spread too thin. I love it when I’m busy. If I’m not as busy, I get a little sad and I find things to do. But I really love it, I’m energized when I’m busy. We’re able to do that for a few reasons. First of all, there are a lot of opportunities right now which are coming about after the volatility that we all saw in the fourth quarter. So, we have market volatility, that’s great for us. You know, we’re not only an activist firm, but we also hedge, so we’re a little different from on others. So, if we can see that market volatility, and we have available cash which we usually keep and we’re protecting our investments, we can pounce on those opportunities. So we’ve already announced now seven new positions so far this year. Normally that’s the high end of what we announce in a whole year. So, you’re right, we’ve been active. But there’s a couple of other things. You have the market volatility in the fourth quarter. We have a great team. There’s something a little magical going on inside Starboard right now in that the maturity of our team has reached a level where we’re getting a lot of great operating leverage out of the talent inside Starboard. So, our people are able to perform at a very high level which gives me an ability to do a little less, although still be actively involved and be able cover more names which is fantastic. 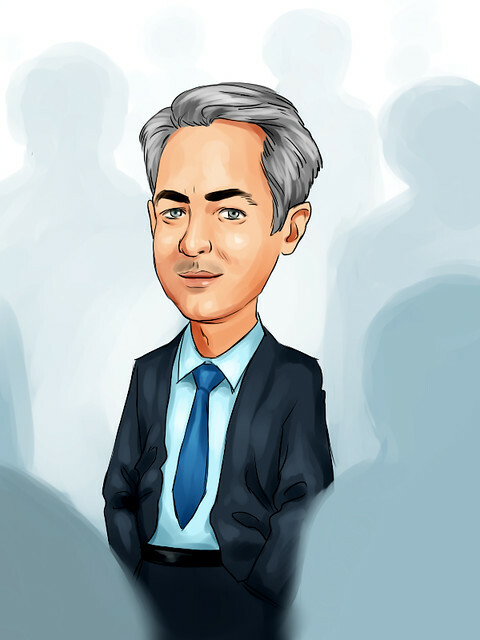 And then the third thing, which I think you’d find interesting is the landscape for activist investors has kind of changed a little bit many of our ideas come from other investors that call us. There aren’t quite as many people for them to call. So, we get a lot of phone calls. DAVID FABER: It’s funny. Activism has changed. Now, you haven’t changed your approach many of your competitors, in fact, whether they’re under pressure in terms of assets or whatnot, seem to be going with this special-purpose vehicle group in terms of establishing a position, perhaps because their LPs prefer it. You have not done that or not done that too often. What do you think of when you look at sort of the changing landscape of activism right now? In particular this move, it would seem to me at least, for so many to be going down that SPV route when it comes to their activist idea within their fund. 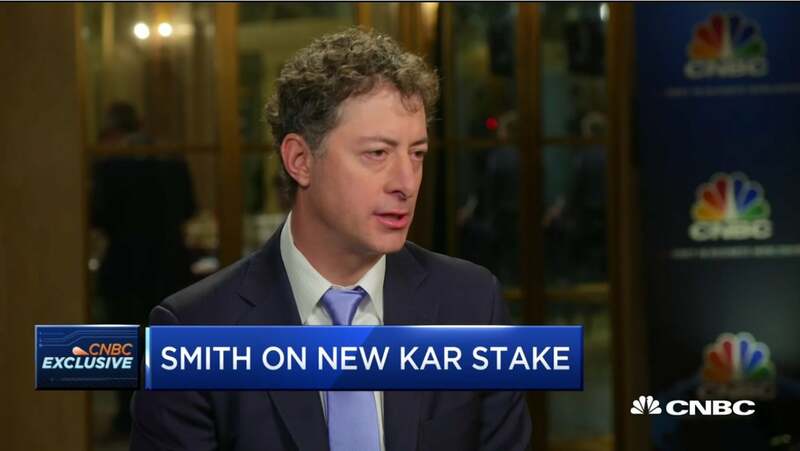 JEFF SMITH: -- we will allow some of our investors to be able to co-invest and add to the position. You know, it’s a little clunky. The SPV route is one where you have to have a lot of lead time. You to be able to come up with an idea and able to pre-sell it to investors. DAVID FABER: Make sure it doesn’t leak. JEFF SMITH: Make sure it doesn’t leak and make sure the stock stays opportunistic. So, from our standpoint, we love marrying the two together. Because we love to pounce. So, we follow a lot of companies where we believe we have a plan that we can do something different at those companies and we have a path where shareholders would support change at those companies. And then we’re watching value. So how is the value changing? It changes every day. When you get in a volatility event in the market or in a stock specifically and the stock comes down, we love to be able to pounce. That’s a little harder to do with those special purchase vehicles, because you’d have to know which ones you’re pre-selling to wait for the pounces. So, I think the flexibility of being able to do both is really very helpful. DAVID FABER: I do want to come back to Bristol-Myers for a minute and then we’ll end on Cerner. But, with Bristol-Myers, Jeff, there was a sense among some it was a departure for you. It did not include -- although you did a good amount of background work, but it wasn’t obviously the long thesis that we would see with a Darden or with Papa John’s. And people said it was just basically you trying to be opportunistic and making a trade and they were somewhat cynical about your approach there. Which you eventually abandoned. The deal has gone forward in terms of the vote. How do you respond to those who say, you know, that in particular seemed to be a departure for Starboard and also seemed to sort of taint activism? DAVID FABER: So those who say it was just a short-term trade, that you were looking for a quick opportunity in terms of a bounce in the stock because you’d vote the deal down? JEFF SMITH: We did. Cerner is a great business. It’s electronic medical records. One of the leaders, if not the leader in that business. It’s a highly sticky business, inside hospitals and doctors’ offices. And we were able to reach a constructive agreement with them where we worked with them to put four new people on the board and importantly created new targets over the next 18 months. So, measured this coming fourth quarter and the fourth quarter thereafter. The market is not giving them credit for those targets. We believe those targets are achievable. In fact, as I talked about earlier, they represent a 350-roughly basis improvement in operating margin. We believe the gap to possible is over 900 basis points. So, we think the 350 is possible. And if they were to hit those targets, there’s a huge value opportunity at Cerner. And then, they also hired Alex Partners and created a Strategy and Finance Committee to oversee the operating margin target improvement. And they are going to be returning 10% market cap in cash to shareholders through both the dividend and increased buyback authorization. DAVID FABER: Jeff, always appreciate you’re taking a little time here. DAVID FABER: You’re keeping that activism alive in America. JEFF SMITH: Yeah, it’s fun. DAVID FABER: Yeah, I know. It’s fun for us, too. Jeff smith from Starboard. Sara, back to you.